The Glutino brand joined Smart Balance®, Earth Balance® and Bestlife™ under the Smart Balance Inc. umbrella. Smart Balance Inc. acquired DE-RO-MA, which owned Glutino Food Group, Laval, Quebec, from Claridge, a Montreal-based investment firm. Stephen Hughes, chairman and chief executive officer, Smart Balance said the gluten-free segment is complementary with the company’s corporate vision of targeting consumer’s specific health needs. 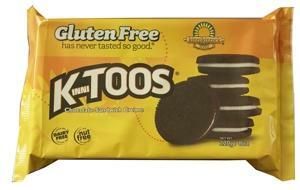 Glutino manufactures and markets gluten-free foods sold under the Glutino and Gluten Free Pantry brands. Glutino offers a shelf-stable and frozen gluten-free products, including snack foods, frozen baked goods, frozen entrees and baking mixes throughout North America. Editor's note: ...wondering if DE-RO-MA was a pure play in gluten free stuff?.. searched on Google and found a few "gluten free restaurants" in the area. There is Messina in Eastham- 4100 State Highway, El Gaupo’s, 239 Underpass Road Brewster, Chillingsworth-2449 Main Street, Brewster, Corner Store-1403 Old Queen Anne Road, Chatham, Chatham Fish Lobster, 1291 Main Street, Chatham. a supermarket in Orleans, Shaws, has a gluten free section.